Selling on Newegg is easy. 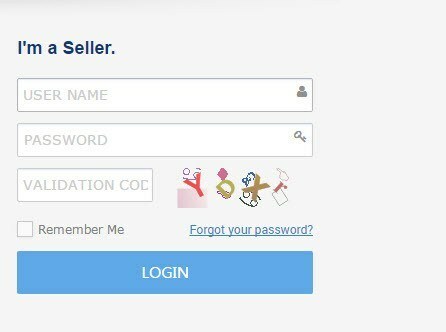 First you register to sell on Newegg and list the products that you want to sell on Newegg marketplace. Customer sees your product and makes a purchase. You will receive a notification to ship the product. You deliver the product to the customer and confirm shipment. newegg will deposit the funds into your bank account after deducting our free. First you need to register to sell on newegg. You will need the following information to register. 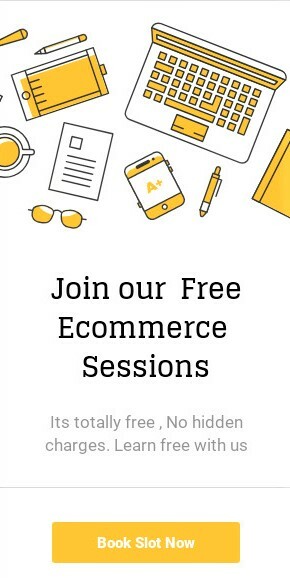 You fill some basic detail about your business and register newegg and time of forma filling you choose category which are your product and Click submit application button. After successfully registered. 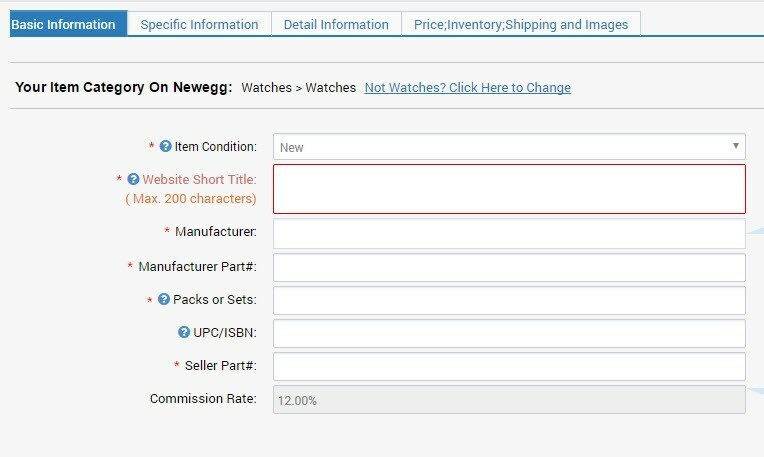 Item Creation link then click on create a new item and select proper category according to your product. Step 3:After selection of product categories now we’ve to move on next step by clicking on continue. Now we have fill product information according to available tab. There are four tab is available. 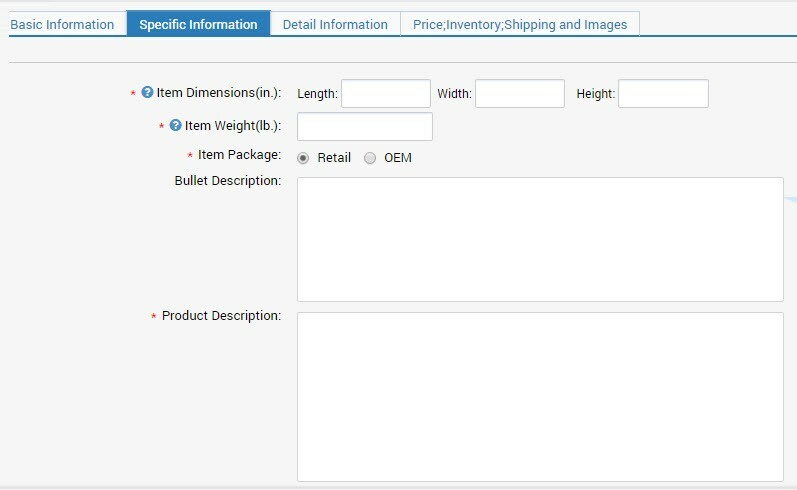 In specific information tab you have to fill item dimensions, Item weight, Item package, product description and more other. 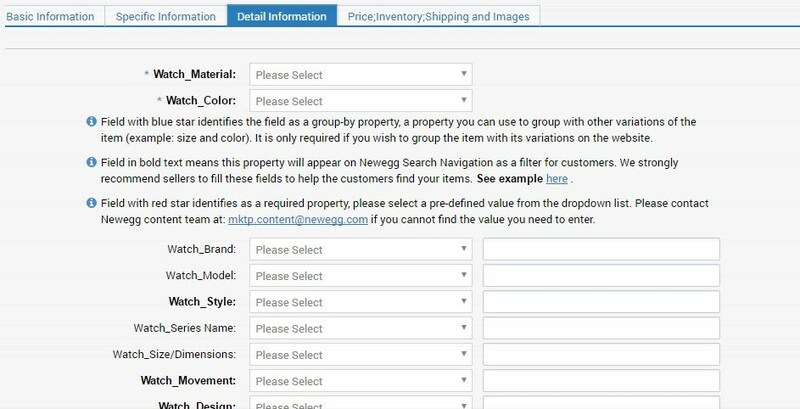 In detail information tab you have to fill material, Item color, Item brand, style and more other. 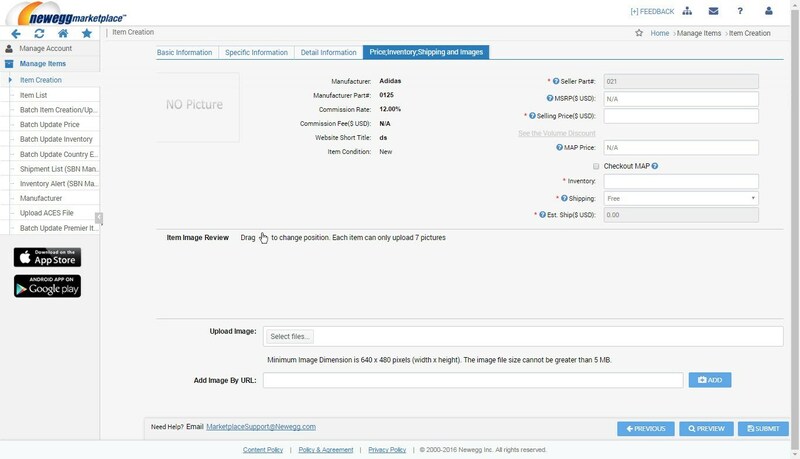 In this tab you can fill price, inventory (quantity of your product), images and click on submit button. You are successfully list your product. 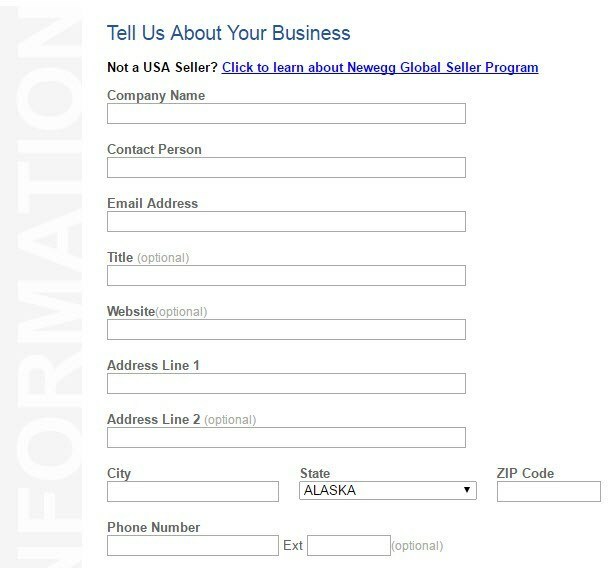 Step 1:You can download template on newegg seller account. You are successfully upload your bulk product.